Successfully Added Micro USB Digital TV Receiver - DVB-T/ISDB-T Support, Free Android App, 474-858 MHz Frequency to your Shopping Cart. Watching TV in your smartphone has never been easier. Simply hook up this micro USB DVB to your phone and never miss a new episode of your favourite show or the match of your favourite team. DVB stands for Digital Video Broadcasting and allows HD TV signals travel over radio frequencies, bringing a complete TV experience to your smartphone without any connection to the transmission network needed. That means that your TV experience is 100% portable and you can have access to all the latest shows, news broadcasts and more right on your smartphone. Using the mini tuner couldn’t be simpler. Simply plug it into the micro USB slot, open up the app for your Android phone and pick a channel to view. It’s that easy! What’s more, unlike watching YouTube videos or surfing the web, watching mobile TV through your mini tuner won’t require any network connection – letting you enjoy all the entertainment you want on the go without the racking your bills. The mini DVB stick is compact and lightweight, can easily fit into your pocket and is great for bringing along on a lengthy journey or just a long commute to work. Thanks to energy efficient design, the DVB tuner won’t eat away at your battery and give you plenty of TV watching time. 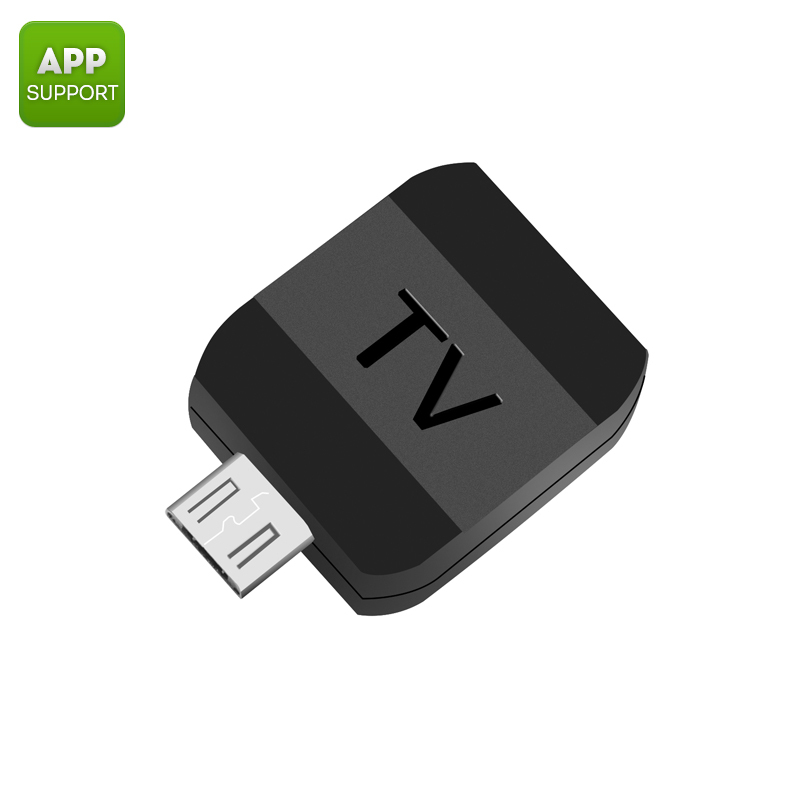 Compatible with most Android devices on the market, the micro USB DVB is a great way to have TV channels at your fingertips anywhere you go. The Micro USB DVB comes with a 12 months warranty. Brought to you by the leader in electronic devices as well as wholesale micro USB DVBs..